Today I found this blog about 15 Amazing jQuery Image Gallery/Slideshow Plugins and Tutorials. I really like the Beautiful jQuery Slider Tutorial which you can try on this page. 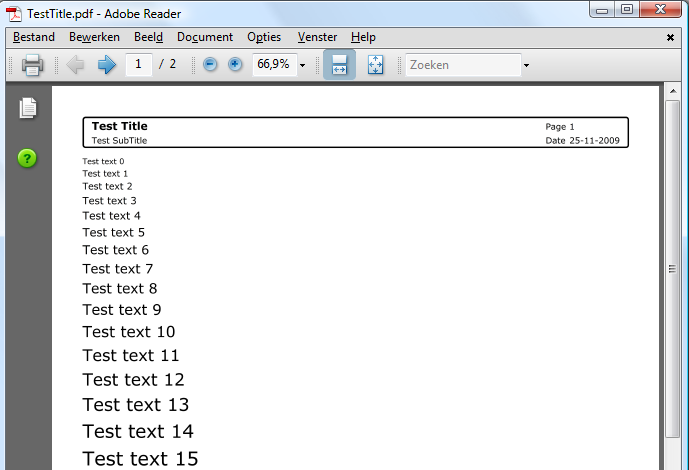 I wondered how easy it would be to create a similar solution using Silverlight 2.0. So I tried it and it was easy. I have used the HtmlBridge to initialize the ImageSlider with the correct images. Added some animations using Expression Blend. Used the VisualStateManager to style the RadioButtons. 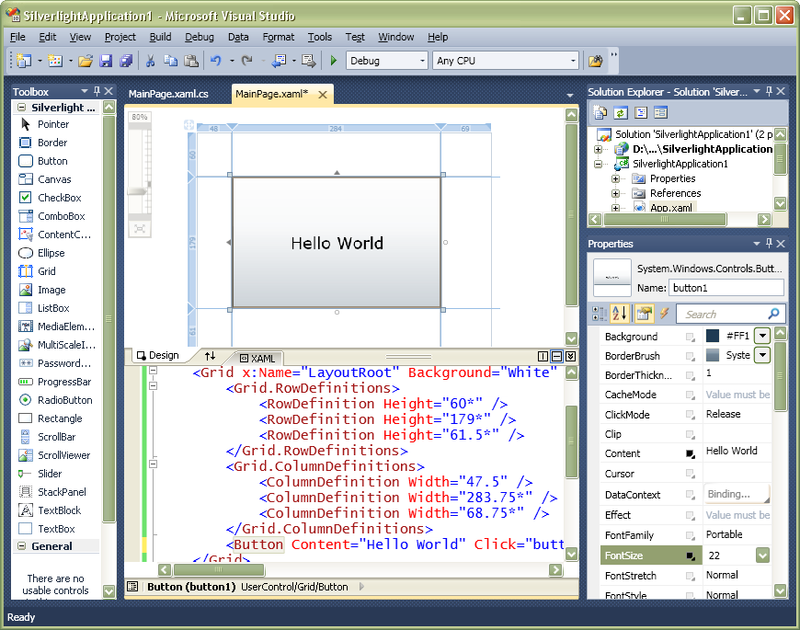 I finally found some time to test the beta of Visual Studio 2010. No problems found yet. 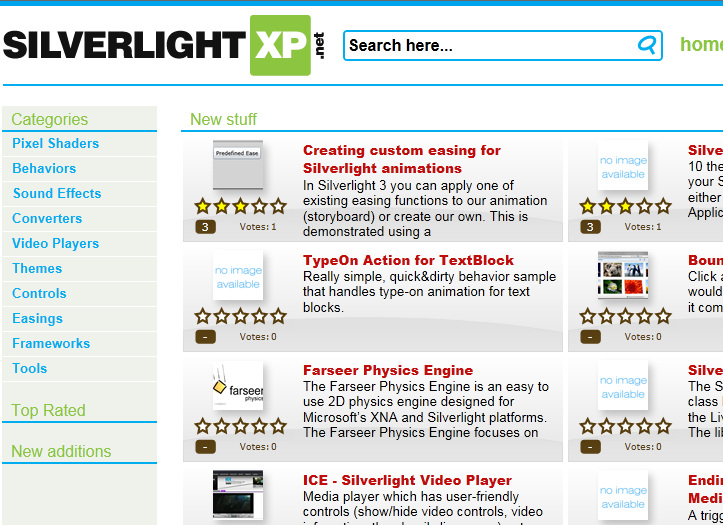 It even supports a visual designer (Cider) for Silverlight projects. You can now use it to drag & drop controls from your toolbox, add rows/columns to a grid and set properties. Things which where only possible in Expression Blend. I have created a simple rotating clock using Silverlight 3.0. 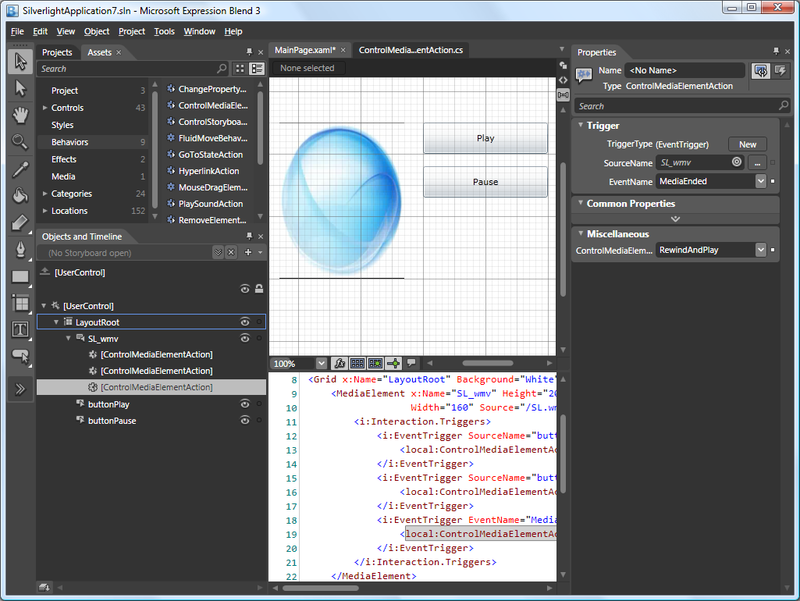 It uses Databinding, Animation and the new Projection property of UI Elements to apply 3D Transformations. You will have to install the Developer Runtime first before you can see it!